I had gone to see Tim to discuss the upcoming Hawkswood Festival of Speed Sealed Sprint. Tim has not only competed in this epic hillclimb since day one but has also had the pleasure of working on many of his clients’ cars that have competed, and in many cases have achieved the fastest times of the day at the event. Anthony Leigh’s 1966 Ford GT40 replica, currently sitting in Tim’s workshop, won fastest time of the day last year. “Built mostly of self-tapping screws in America in 1990 for what seems like traffic-light preening, it has been an enthralling journey re-making it into a racing car that is true to its period.” Tim tells me how he has really enjoyed a full immersion into GT40 history. Tim did a couple of seasons in Europe a few years ago as mechanic for a team. “We ran a couple of GT40s and I never really gave them the respect they deserved.” It is obvious to me that Tim now has a true appreciation for these beasts. The Country Gentleman’s Historic Racing and Sports Car Club has been running the Hawkswood Festival of Speed annually for the past 12 years. Originally ‘Country Gents’ events were held on the Wigram Air Base in Christchurch in conjunction with the RNZAF, and were known as ‘The Country Gents Wigram Wings & Wheels’. Tim recalls how every year Country Gents was always a highlight event. 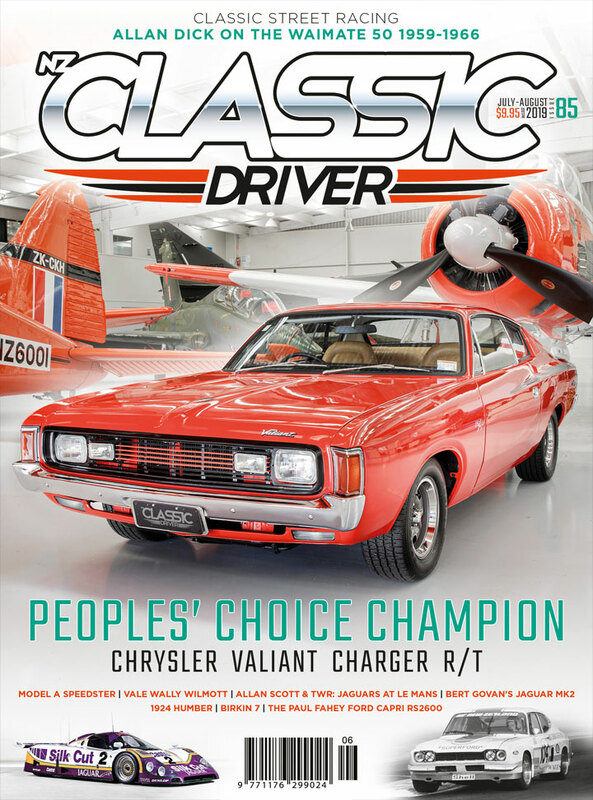 To read this and other articles on the Classic Driver website please click here to sign up for a membership. Once a member and logged in, you'll be able to read all the articles on the site. If you are already a paid up member, please log in, using the Log In link in the menu at the top of the page.